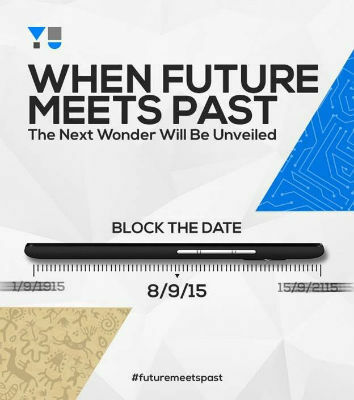 Yu is all set to launch a new smartphone on September 8. The company has sent out media invites that features a cryptic message, “When future meets past, the next wonder will be unveiled”. Apart from the side profile of the phone, not much else has been revealed. The company has also dropped some hint on Twitter. “If Mona Lisa had a selfie stick, don’t you think we’d have had many beautiful pics of hers?”, it tweeted yesterday. It would be safe to assume that the new Yu phone will probably have a superior front camera, targeted at selfieholics. 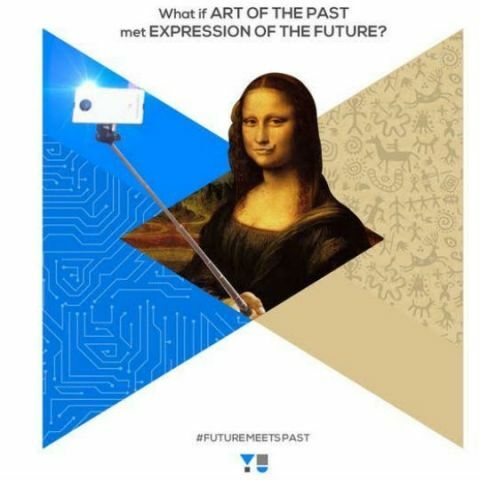 The accompanying picture depicts Mona Lisa clicking a selfie with a selfie stick. Captioned #futuremeetspast, it might be an indication of the phone featuring advanced photo editing capabilities and filters. It also retweeted parts of a conversation between Yu CEO Rahul Sharma and Snapdeal CEO Kunal Bahl. The phone is expected to be a Snapdeal exclusive on the basis Sharma’s tweet, “@1kunalbahl Absolutely! Let’s shake up a few chips together. YU and Snapdeal.” Yu has so far retailed exclusively on Amazon. No details about the hardware have surfaced till now. There has been no word about the pricing either. But, considering Yu’s strategy of offering “good enough” hardware at affordable price points, the new device is expected to be priced reasonably. The upcoming device will be the latest in Yu’s device lineup after the Yureka, Yuphoria, Yureka Plus and the Yu Fit smartband. There are also rumours of the company launching a power bank after being spotted in a listing on Zauba. It recently launched the Yureka Plus, featuring a 5.5-inch 1080p display, Snapdragon 615 processor and 2GB of RAM. The original Yureka managed to grab a fair amount of attention with its mid-range hardware and low-end pricing. The Yureka Plus is however, up against some stiff competition with a host of similarly spec'ed devices. It received a price cut recently and is now available for Rs. 8,999 on Amazon. I want to buy a phone under 10k. Redmi4 moto e4 plus or yu yureka black? Asus Zenfone Go 5.0 vs Yu Yunique ?? ?